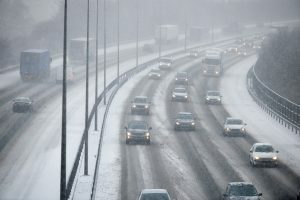 The FORS ‘Winter driving guide’ lists key safety tips for drivers during the winter period, to draw attention to the challenges of inclement weather. The handy guide includes tips to help drivers mitigate against adverse changeable weather, with forward planning being the first step. The guide suggests drivers plan their route, seek up-to-date travel information and complete additional safety checks prior to any journey, along with advice on which equipment to carry and suitable clothing. As well as preparation, the guide includes tips on how to drive in snow and ice, heavy rain, strong winds, flooded areas, and fog. Download your copy of the FORS ‘Winter driving guide’ here.